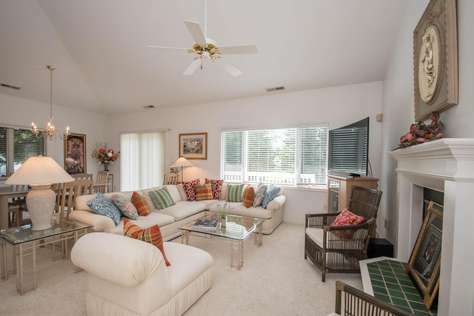 Delaware Rentals are happy to offer a selection of stylish Fenwick Island beach homes for rent for your next summer vacation. Our vacation properties are beautifully furnished and decorated to provide you with all the comfort of home. Whether it is just 1 or 2 of you, or the entire family off on vacation, we have a rental property to suit your requirements. There are a whole array of fun activities to enjoy during your time at Fenwick Island, so when you’ve had your fill of soaking up the rays why not head over to Fenwick Island State Park for a little wildlife watching, or perhaps a leisurely hike along the Delaware coastline. If you’re feeling more sporty and energetic then during the summer months (from Memorial Day to Labor Day) it’s possible to rent a kayak for some fun on, or in the water (depending on your level of expertise!). There’s also jet-ski rentals, and parasailing too… yes, we have it all here on Fenwick Island… come visit and find out for yourself!